Family, friends and music industry executives gathered at Nashville’s South venue Monday afternoon (Sept. 21) to celebrate the No. 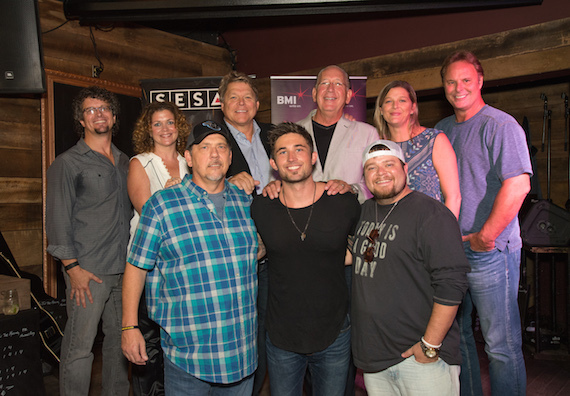 1 hit, “Kiss You In The Morning,” written by BMI writer Michael White with SESAC writer Justin Wilson and performed by BMI affiliate and Warner Music Nashville artist Michael Ray. The song was produced by Scott Hendricks. Magic Mustang Music’s Juli-Newton Griffith and Parallel Music Publishing’s Tim Hunze were on hand to honor the songwriters, as were BMI’s David Preston and SESAC’s Shannan Hatch. 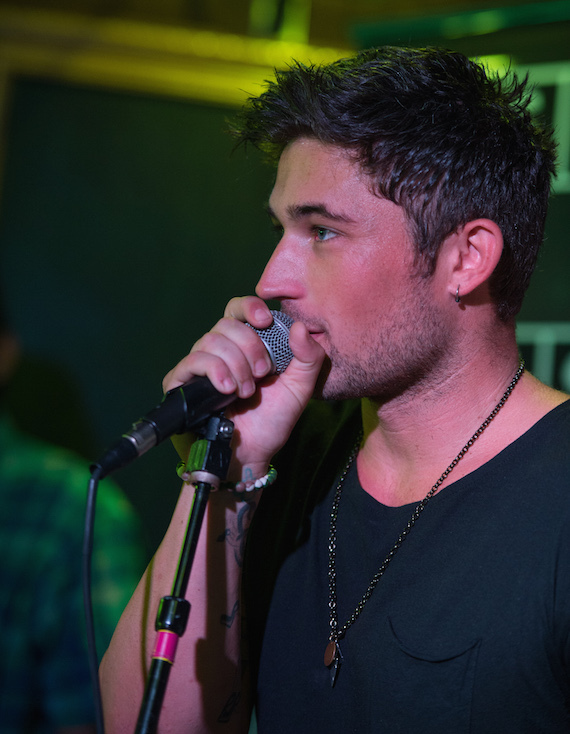 The tune was the first chart-topper for Michael Ray, who released the track off his debut self-titled album, and the second for White. Preston offered White an Epiphone guitar to commemorate the No. 1 hit. “I hope you write a million more songs on it,” said Preston. Among those offering accolades were CRB’s Holly Lane, Country Aircheck‘s Chuck Aly, and more. Avenue Bank’s Ron Cox announced a donation in honor of the songwriters to St. Jude Children’s Research Hospital. It was an emotional celebration for Wilson, who was celebrating his first No. 1 song. He spoke of his early career attempts to become a recording artist himself, and gave credit to his family for believing in him when he decided to turn his attentions to songwriting. “To watch me get and lose a [recording] deal in six months, and then to see me fall in love with songwriting, they kept believing in me,” said Wilson.